A former apprentice returns and she surely has a story to tell. The final moments of Star Wars Rebels left fans with a lot to talk about. Where are certain characters? What happened to others? And what’s been happening in the Star Wars universe? 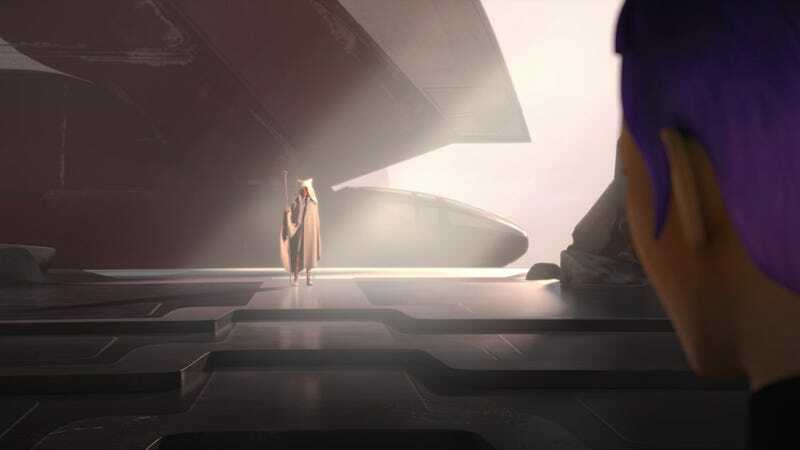 Those answers may come in time but one specific mystery, in regards to Ahsoka Tano, will remain just that. At the end of Rebels, the story skips past the events of the original trilogy. 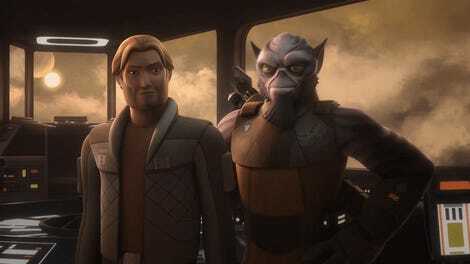 After the battle of Endor, Ahsoka Tano, the former apprentice to Anakin Skywalker, reappears after what we assume is a long time. Sabine Wren leaves Lothal with her to go find Ezra Bridger. Which raises a ton of questions, not the least of which are: Where has Ahsoka been all this time and why does she look like that? We spoke to Rebels executive producer Dave Filoni about the finale and one of the many interesting tidbits he provided was in regard to Ahsoka and her costume. Is it the staff? The cloak? The color? What about it is so important, we asked. That staff. That belt. That turtleneck. Where has Ahsoka Tano been? Okay... but, any details at all? And, hopefully, that refers not just to Filoni’s next project, but Ahsoka Tano herself.